Using social media as a small business owner is a great tactic to get the ball rolling when gaining consumer awareness and building brand awareness. However, social media etiquette can be a challenging concept to grasp in this ever-changing online world and the more comfortable you become with social media from a personal perspective, the more likely you are to forget that your social media channels for your business is still about business and maintaining a reputation. That’s where social media netiquette comes in. 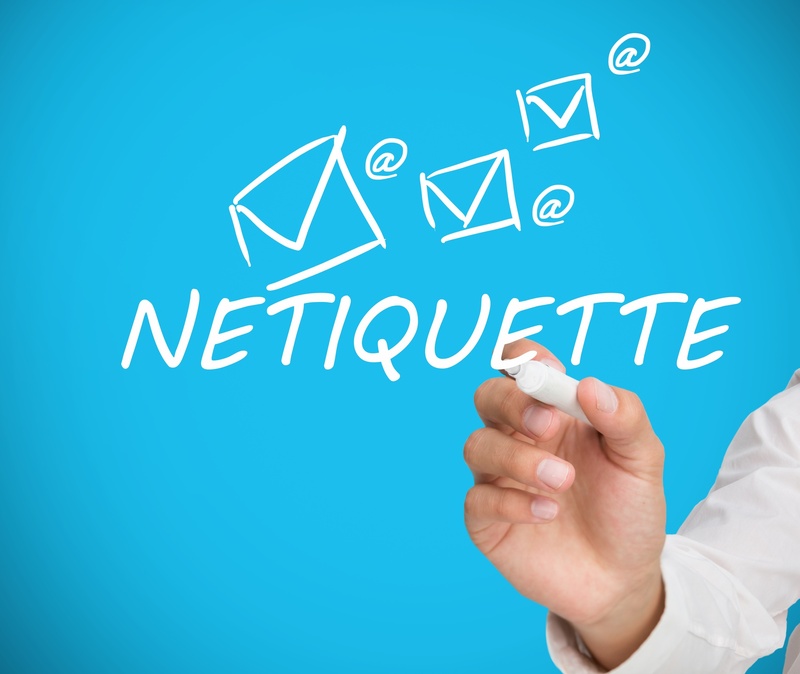 In this blog, we’ll discuss 7 rules for social media netiquette and how to practice them. First impressions are the most important! Take time to fill out your About section so it is full of beneficial information about your business and tells the visitor who you are, what you do, and what you are offering them. While it’s a good idea to be present on more than one social media network, it’s crucial that you never have more than one social media account on one social media platform if you want to have good online etiquette. You don’t want to confuse your visitors and drive them away from your page. Be as consistent as possible with what you post and share on various social media platforms. You have a following on social media networks. This means that your fans like what you are posting and want to continue to get information from you. If you’re a small bakery and you usually post about the new flavors of cupcakes you have that day, but then one day you post your opinion about the presidential election, you are likely going to leave your fans confused and disappointed with you. Remember, your business’s social media page is not an outlet for your personal opinions or problems, it’s about building brand awareness. When it comes to social media netiquette, you want to nurture your existing customers while also bringing in new sales at the same time. This is done through creating, building, and maintaining relationships. Post often and on a specific schedule so you don’t go dark and your followers have forgotten about you. How often? It depends, but 3-5 times a week should be sufficient. While it might be tempting to try various social media networks, you can’t possibly have the time and energy to focus on building a large presence on all of them. Choose the social media platform that best suits your target market. Does using photos and videos convey the message about your products or services better than a written post would? Then Instagram and Snap Chat would be good platforms for you to mainly focus on. Is your target market between the ages of 30 and 55 and engages more with content and images combined? Then Facebook might be the right platform for you. Your fans are following you for a reason! Don’t neglect them. Provide helpful and engaging content that you know your fans will appreciate. Answer questions or comments on Twitter. Say ‘Thanks!’ on Facebook when you receive a positive review. Little things like this make your business’s social media profile feel like it’s being run by an actual person and not by a robot on auto pilot. Our last and final tip for social media netiquette plays off the last tip a little bit. When you receive a customer review, question or comment on one of your social media platforms, answer them! There’s nothing worse than poor customer service, especially poor online customer service. Not only is it a good idea to answer a positive or even negative review or question on your social media networks, it’s shows that you care about the consumer and their experience with your brand. Now that you know the basics of social media netiquette, it’s time to start establishing your brand on social media! Download our FREE guide on How to Establish Your Brand on Social Media.